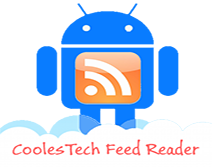 Coolest Tech » Solar Impulse’s Second Generation Aircraft! Solar Impulse’s Second Generation Aircraft! Taking off with solar powered aircraft has just become easier than you might have thought! Solar Impulse is a Swiss aircraft project that only uses solar power to achieve the World’s first fully solar-powered intercontinental flight starting with a Successful simulation of a 72-hour (3 days and 3 nights). The aircraft was piloted alternately by two Swiss men, André Borschberg and Bertrand Piccard from from Payerne (Switzerland) to Ouarzazate (Morocco) with an intermediate landing in Spain and Morocco. Solar Impulse obtained two new world records: “Free Distance along a Course” and “Straight Distance, Pre-Declared Waypoints”. One of the unique specifications of this amazing aircraft is that it only needs one pilot to have full control over it. It also runs on 4 electric motors, rather on internal combustion engines, powered by lithium-ion batteries weight 450 kg, providing 7.5 kW that equivalent to 10 horse power for each. And that secret behind the giant Wing area that is equal to 200 m2 is that it gives the max. power for the aircraft to take-off with ground speed of 35 kilometers per hour but it has also a perfect performance, it can reache up to 70 kilometers per hour for a noncontinuous 36 hours between 8,500 m and 12,000 m as a maximum altitude in the sky. Once the two Swiss national records were granted to André, the results were thereafter forwarded and confirmed by FAI as “Experimental and New Technology World Records: Solar-Powered Aeroplanes”. After setting three world records during the Solar Night Flight on 8.7.2010 for maximum altitude (9235m), duration (26h10m19s) and gain of height (8744m), Solar Impulse now officially holds five world records. Charge Your iPhone Using A Solar Tree! 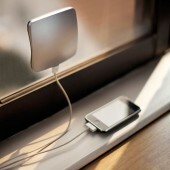 XDModo iPhone Solar Charger, Sticks Right To The Window! Mobile phone charger: Solar of course….